Trumponomics–A New “New Deal” for the American people? Trumponomics A New New Deal for the American people? What Does the Trump and Putin Relationship Mean for Asia? The Kissinger Era Consensus on China is Gone with the Wind! Trump and Erdogan: Will It Be a Short Honeymoon? The Romanian Armed Forces’ Endowment Efforts – Better Times on the Horizon? The Book of Time Who is the genius behind the mass-production of books? Growth-at-All-Costs vs. Democracy – What Kind of Globalization? Tears in the Land of Smiles What will Thailand do without its father? The National Institute for Economic Research “Costin C. Kirițescu” of the Romanian Academy bestowed the “Pierre Werner Centenary” medal to the Rector of the Bucharest University of Economic Studies, Professor Nicolae Istudor, Ph.D., in recognition of his contributions to higher education and academic research and of his sustained efforts to promote the national culture and its values in the Wernerian sense of harmony and compatibility with the wider European civilization and its aspirations. The ceremony was occasioned by the 4th edition of the International Conference ESPERA 2016 on “Economic Scientific Research – Theoretical, Empirical and Practical Approaches”, which took place in Bucharest on December 15-16, 2016. Professor Nicolae Istudor’s keynote speech may be viewed here. Professor Silviu Neguț, Ph.D., delivered a speech on the geopolitics of the New Silk Road and its Eurasian philosophical backdrop during a conference organized by the Black Sea University Foundation on the subject of “Oil and the New Silk Road”. The event took place on December 13, 2016, and brought together a host of noted Romanian specialists from academia, government and private sector. Among them were Vasile Iuga, Senior advisor at PwC Romania, Radu Dudău, the Energy Policy Group, and Liviu Mureșan, the EURISC Foundation. The discussions were moderated by Professor Dan Dungaciu, Ph.D., President of the Black Sea University Foundation and head of the Institute for World Economy, the Romanian Academy (details here). Alexandru Georgescu was a participant, alongside Răzvan Munteanu, Iulian Popescu and Andrei Vlăsceanu, on the ZIUA Z (D Day) TV Show hosted by Col. (ret.) dr. Ion Petrescu on the subject of the latest meeting of NATO Foreign Ministers. The TV Show aired live on December 8, 2016, on 6TV and can be viewed online here. Europarliamentarian Laurențiu Rebega and the Foundation for the Europe of Nations and Freedom organized on the 26th of November, in Târgu Mureș, the Conference “The European Union and Economic Challenges for Romania”. The event took place in proximity to the impending anniversary of Romania’s accession to the EU, nearly ten years ago. The presentations discussed the pros and cons of accession and highlighted the risks, vulnerabilities and threats that our country will have to manage. Professor Dumitru Miron, Ph.D., and Associate Professor Octavian-Dragomir Jora, Ph.D., from the Faculty of International Business and Economics, the Bucharest University of Economic Studies, Professor Nicolae Băciuț, writer and publicist, and Cora Maria Muntean, President of the National Association of Romanian Merchants (ANCR), were among the speakers (details here). Alexandru Georgescu was a participant, alongside Răzvan Munteanu and Iulian Popescu, on the Valori Euroatlantice (Euroatlantic Values) TV Show hosted by Col. (ret.) dr. Ion Petrescu on the subject of the Geopolitical Winter in Eastern Europe. The TV Show aired on November 20, 2016, on 6TV and can be viewed online here. Key quotes and comments can be found here. Octavian-Dragomir Jora delivered a speech at Târgul de Carte Gaudeamus (the Gaudeamus Book Fair), on November 16, 2016, during the launch of an important book, “A concepe, a redacta și a publica un articol științific. O abordare în contextul cercetării economice” (“Conceiving, Writing and Publishing a Scientific Article. 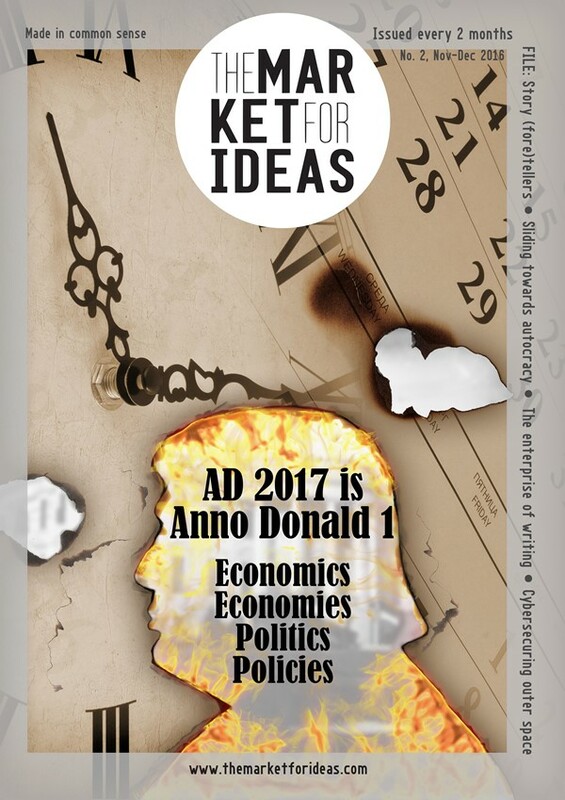 An Approach in the Context of Economic Research”), written by Vasile Dinu, Gheorghe Săvoiu and Dan-Cristian Dabija. Octavian-Dragomir Jora argues that the neglect of scientific dissemination in national journals is a result of a structure of perverse incentives for researchers, for whom a series of “minimalistic” criteria have been set with an exclusively external orientation and without an attempt to establish a reasonable set of coefficients for truthful comparison between internal and external publications. This leads to distortions of the Romanian landscape for reviewing, validating and disseminating scientific ideas, hindering their gradual entry into the worldwide scientific marketplace and maintaining an unproductive separation between national and global spaces (details here). As a member of the EURISC Foundation, Alexandru Georgescu was the only Romanian attending the International Think Tank Forum of China and Central and Eastern European Countries held in Riga, Latvia, on November 4, 2016, in parallel with a series of other events related to 16+1 cooperation, including the Summit of the Heads of Government of 16+1, the launch of the Logistics and Transport Center for 16+1 in Riga, a business forum and a conference of sinologists. A short article in Romanian describing the event can be accessed here. 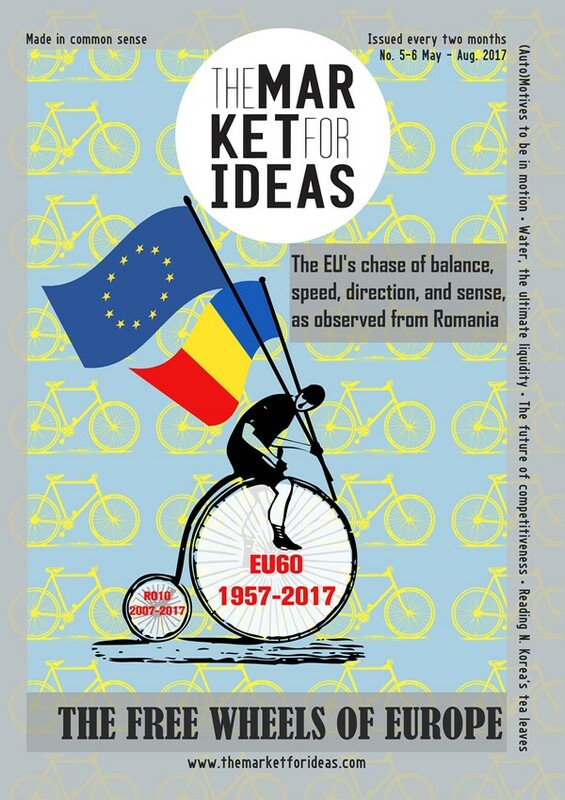 A publication titled “Afterthoughts of the Riga 2016 China and Central and Eastern European Countries Think Tank Forum” can be accessed here, featuring also a contribution from Alexandru Georgescu. As a member of the EURISC Foundation, Alexandru Georgescu accompanied EURISC Foundation President dr. Liviu Mureșan to the International Conference on Synergies between 16+1 and the Belt and Road Initiative, organized by the Shanghai Institutes for International Studies (SIIS) on September 25-26, 2016, in Shanghai. A short article in Romanian describing the event can be accessed here. The Center for Institutional Analysis and Development – Eleutheria (CADI), The Friedrich Naumann Foundation (FN), The Institute for Economic Studies – Europe (IES – Europe) and The Society for Individual Freedom (SoLib) organized The September School of Economics, Politics and Philosophy, September 20-25, 2016, at the Hotel Apollo Hermannstadt in Sibiu, Romania. This year’s theme was “Europe at the Crossroads: Illiberal Challenges, Liberal Alternatives”. On this occasion, Octavian-Dragomir Jora delivered a speech entitled “Brave New Europe: Technology, Democracy, Technocracy, Demagoguery” (details here).